The contemporary ‘A’ frame remains a firm favourite. 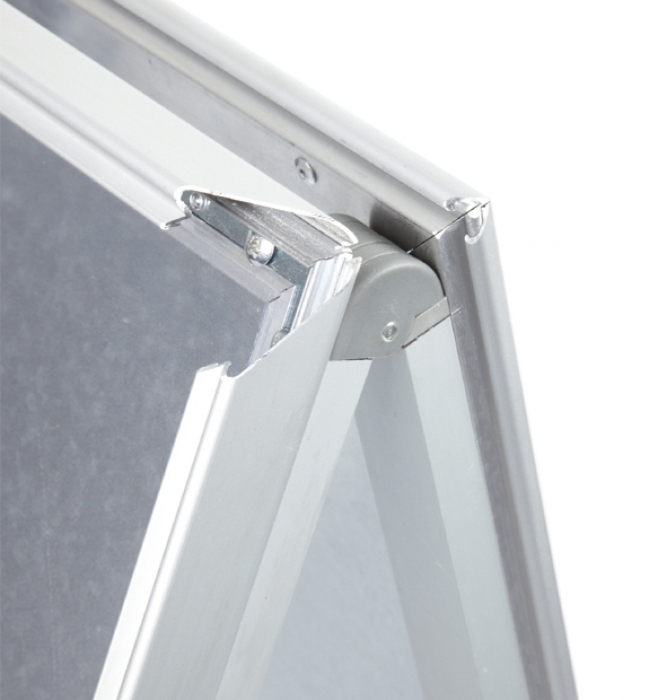 Suitable for outdoor and indoor locations, the easy change snap frame Aboard mechanism securely holds posters in place. 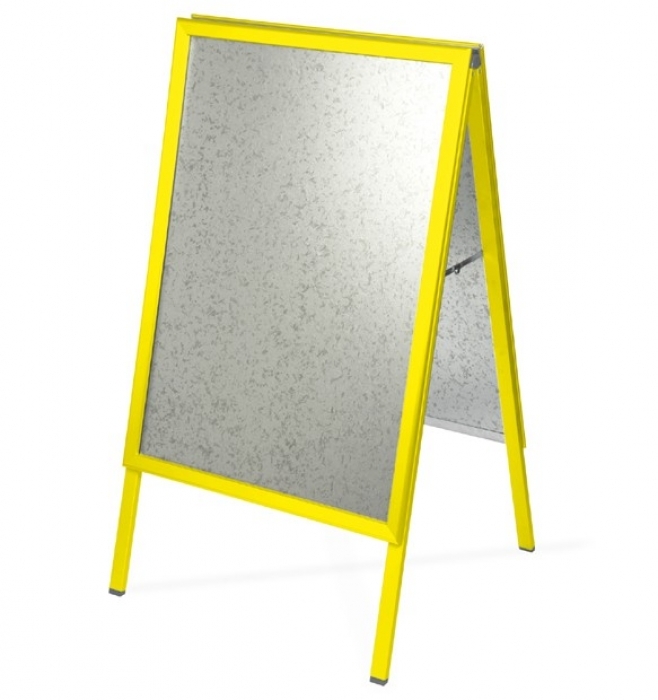 Double sided heavy duty frame available in various sizes including A0, A1 & A2. 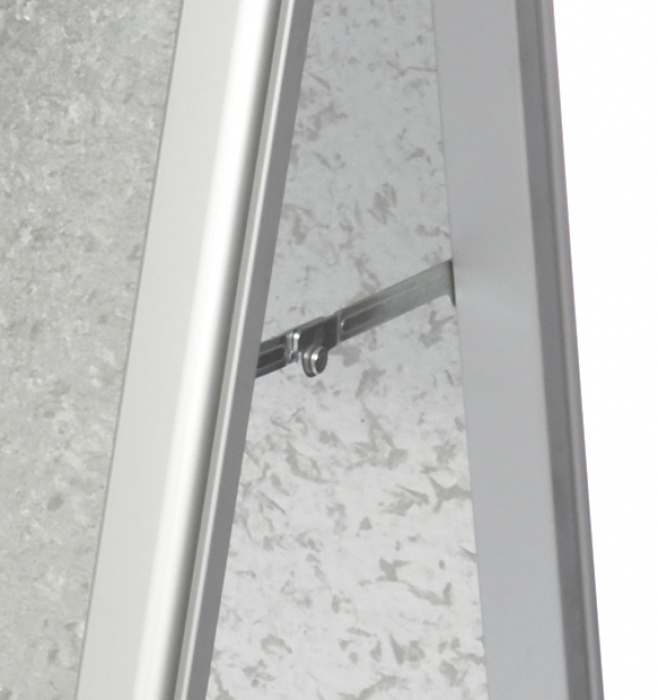 Profile of 32mm with chrome rounded corners with galvanised steel backing. Comes with a protective acetate sheet, graphics not included. 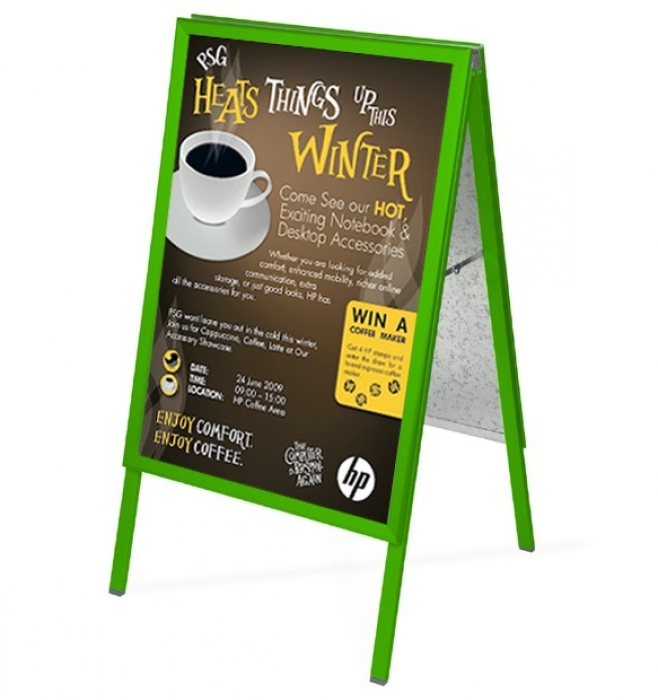 Available in various stock colours, these colour A-Boards are a fantastic way to promote your company. 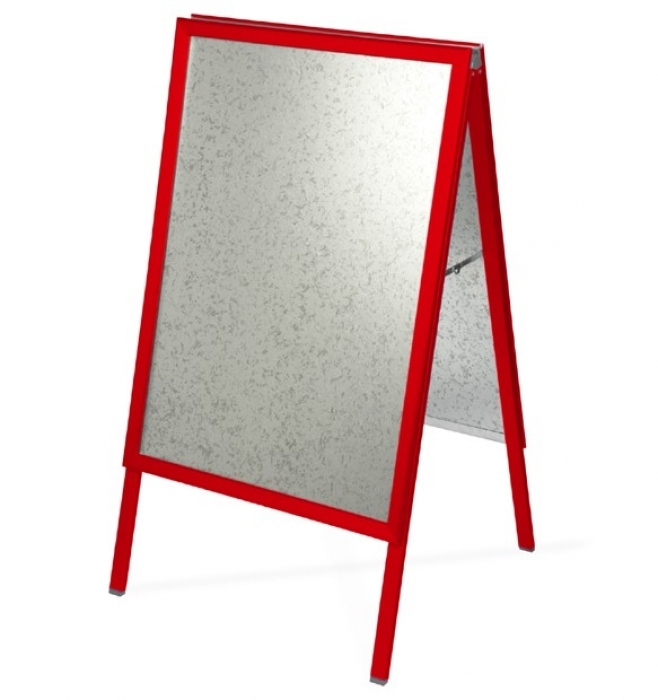 A strong aluminum and steel construction means that they will withstand high winds, and an easy fold away mechanism makes for simple night time storage. Available for delivery in three days.